This in-depth assessment and the resulting rankings are well worth the detailed read. Here, we focus on sharing the summarizing recommendations for action, some of the identified key trends and the study report’s final conclusions. 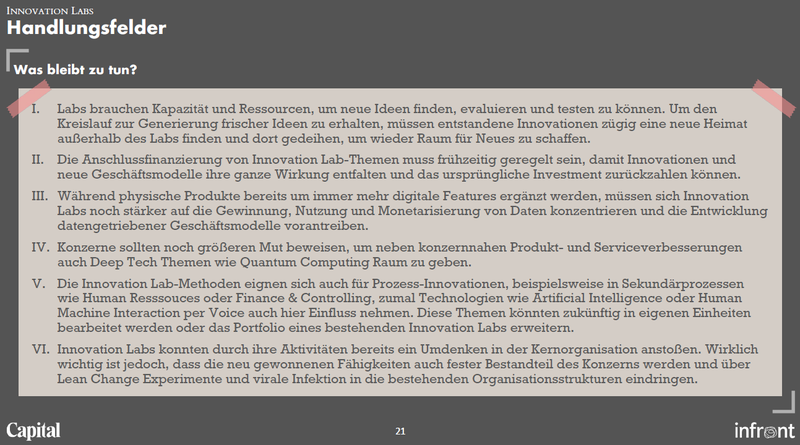 As the study is in German only, they are presented as translated quotes (in Italic). teams for repeated identification and prototyping of digital innovations. from idea to successfully established young company in the market. Accelerators: Programs for identification, selection of external startups and their support in the (further) development and scaling of novel business ideas. There are ca. 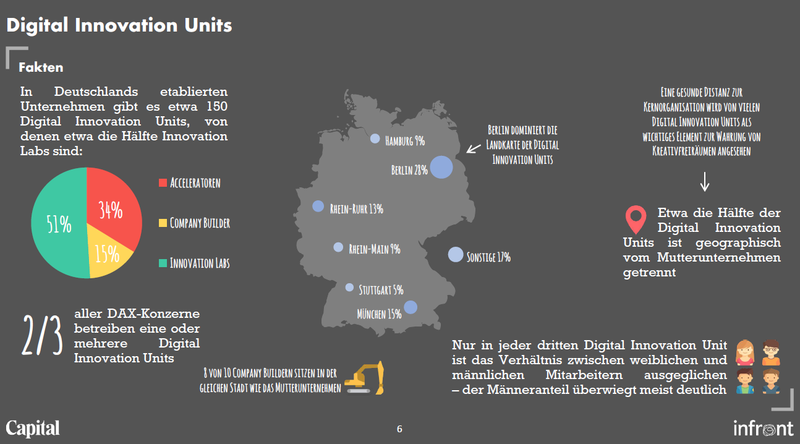 150 Digital Innovation Units of established German companies, about half of which are Innovation Labs. 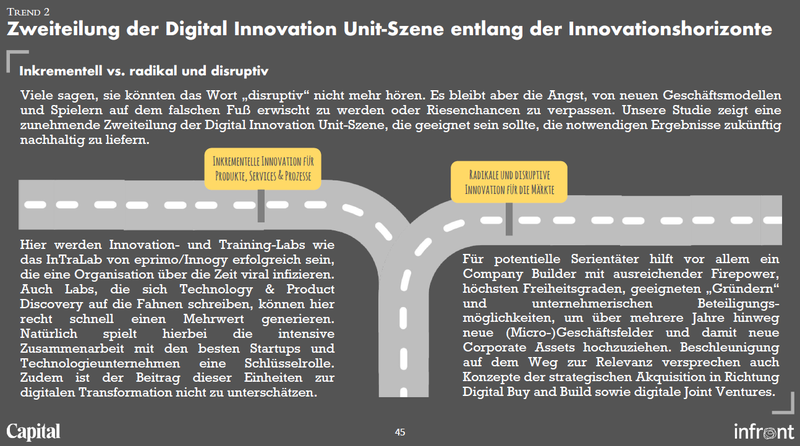 Two thirds of all DAX companies operate one or several Digital Innovation Units. About half of the Digital Innovation Units are geographically separated from their parent companies. Only every third Digital Innovation Unit exhibits a balanced ratio between female and male employees – the percentage of men mostly outweighs significantly. Labs need the capacity and resources to find, evaluate and test new ideas. In order to keep the cycle of generating fresh ideas, innovations have to find a new home outside of the lab and thrive there to make room for new things. The follow-up financing of Innovation Lab topics must be regulated early so that innovations and new business models can have their full effect and repay the original investment. As physical products expand to include more digital features, Innovation Labs must focus even more on data mining, usage and monetization, driving the development of data-driven business models. Corporations should be even more courageous in order to make room for deep tech issues such as quantum computing in addition to corporate-related product and service improvements. The Innovation Lab methods are also suitable for process innovations, for example in secondary processes such as Human Resources or Finance & Controlling, since technologies such as Artificial Intelligence or Human Machine Interaction per Voice also have an influence here. 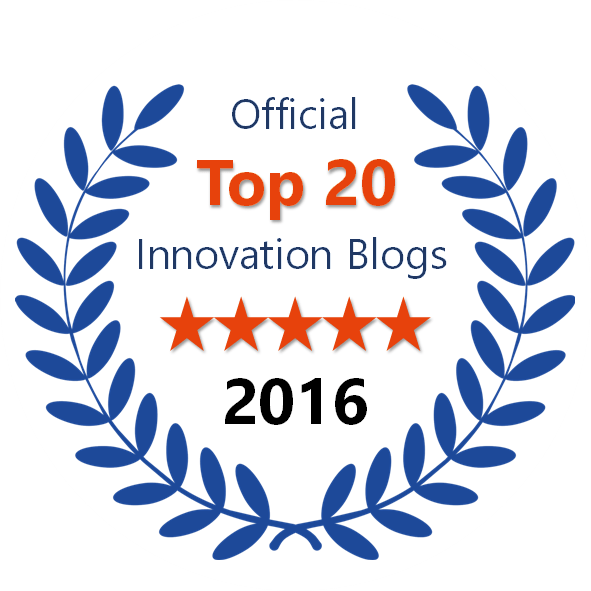 In the future, these topics could be edited in separate units or the portfolio of an existing Innovation Labs could be expanded. 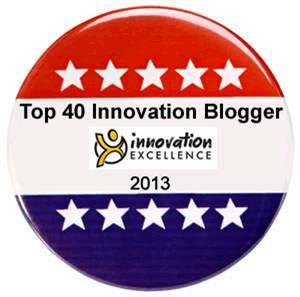 Innovation Labs have already ignited a rethink in the core organization through their activities. What is really important, however, is that the newly acquired skills also become an integral part of the corporation and penetrate into existing organizational structures through Lean Change experiments and viral infection. Company builders that operate decentralized isolated to explore and develop disruptive innovations that are beyond the core business have been a rarity so far. These units can generate real new micro-business fields – here can and should happen more! Topics and technologies that drive digitization are constantly evolving. In order to keep up with the development, Company Builders need a lot of creative freedom. Exploring, developing and testing the latest technologies, such as deep learning, is often more time-consuming and capital-intensive than developing core business – related, incremental solutions. To deepen these more complex issues, company builders need long-term resource commitments as well as the courage and patience of top management. Company builders need entrepreneurial talents of the highest caliber. Gaining them and giving them the necessary freedom often makes companies feel strange, but is definitely critical to success. The typical paths for scaling and exit are to be thought out and structured in order not to make sub-optimal decisions at the critical milestones of the new businesses, out of time constraints and surprise. Money and advice are no longer the focus of the best startups – there are many alternative sources. Customers and distribution channels are the most important assets with which established companies can convince. 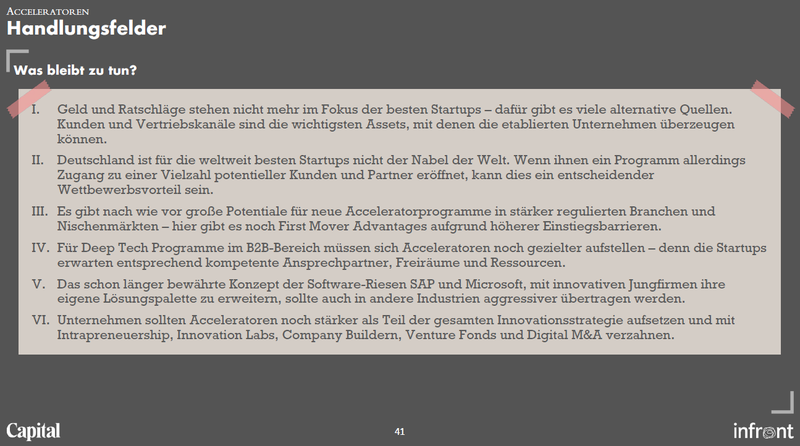 Germany is not the navel of the world for the world’s best startups. However, giving a program access to a multitude of potential customers and partners can be a key competitive advantage. There is still a lot of potential for new accelerator programs in more regulated industries and niche markets – here there are first-mover advantages due to higher entry barriers. For deep tech programs in the B2B area, accelerators have to set themselves up even more purposefully – because the startups expect accordingly competent contacts, free space and resources. The already proven concept of the software giants SAP and Microsoft, to expand their own range of solutions with innovative start-up companies, should also be transferred to other industries more aggressively. Companies should build accelerators even more as part of the overall innovation strategy and interlock them with Intrapreneuership, Innovation Labs, Company Builders, Venture Funds, and Digital M&A. Innovation needs disorder – up to a certain extent. Order kills creativity, but may also direct it into the right channels. After a lot of innovation units started in large corporations, now sorting and orchestrating begins. That way, automobile companies – in some cases with more then 40 units around the globe – seek to increase their usable output. 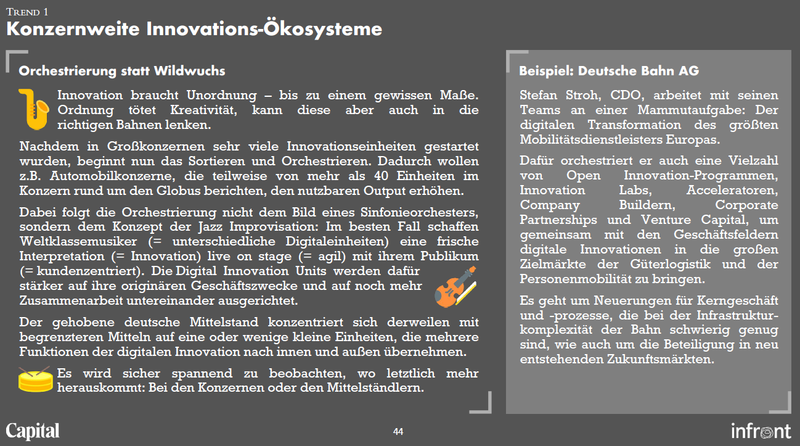 The orchestration does not follow the picture of a symphony orchestra, but the concept of jazz improvisation: In the best case world class musician (= different digital units) create a fresh interpretation (= innovation) live on stage (= agile) with their audience (= customer-centered). 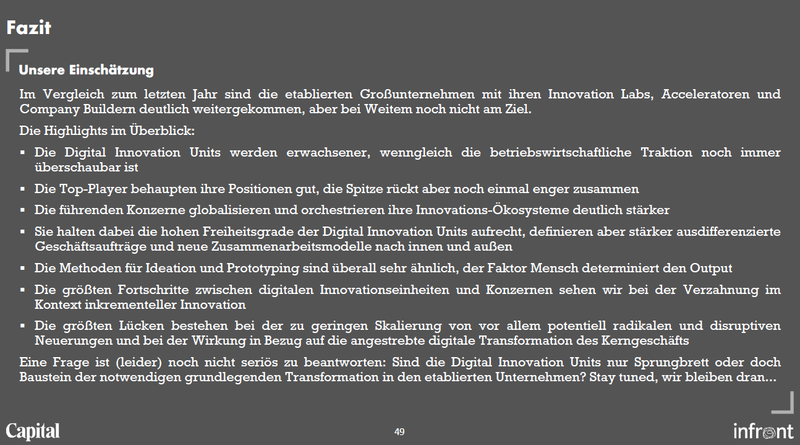 The Digital Innovation Units will be more focused on their original purposes and more cooperation with each other. SMEs meanwhile concentrate with more limited funds on one or a few small units that take on multiple functions of digital innovation internally and externally. Many say they can not hear the word ‘disruptive’ anymore. But there remains the fear of being caught on the wrong foot by new business models and players or missing out on huge opportunities. Our study shows an increasing dichotomy of the Digital Innovation Unit scene, which should be able to sustainably deliver the necessary results in the future. Here, innovation and training labs such as the InTraLab from eprimo / Innogy will be successful, infecting an organization virally over time. 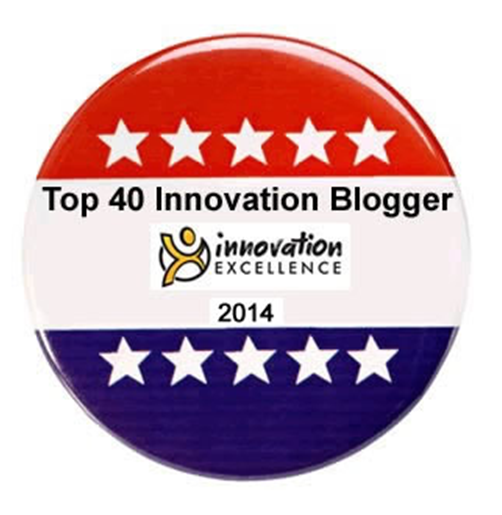 Even Labs, who write Technology & Product Discovery on the flags, can quickly generate added value here. Of course, the intensive cooperation with the best startups and technology companies plays a key role. In addition, the contribution of these units to digital transformation should not be underestimated. For potential serial offenders, a company builder with sufficient firepower, highest degrees of freedom, suitable ‘founders’ and entrepreneurial investment opportunities helps to raise new business fields and thus new corporate assets over several years. Acceleration on the path to relevance also promises concepts of strategic acquisition towards digital buy and build, as well as digital joint ventures. While the realization is not difficult, the confession in front of oneself is: The most talented startups in the world from the USA, Korea, Israel or Spain and England are not coming to Stuttgart, Hannover, Essen or Nuremberg for a single board meeting. 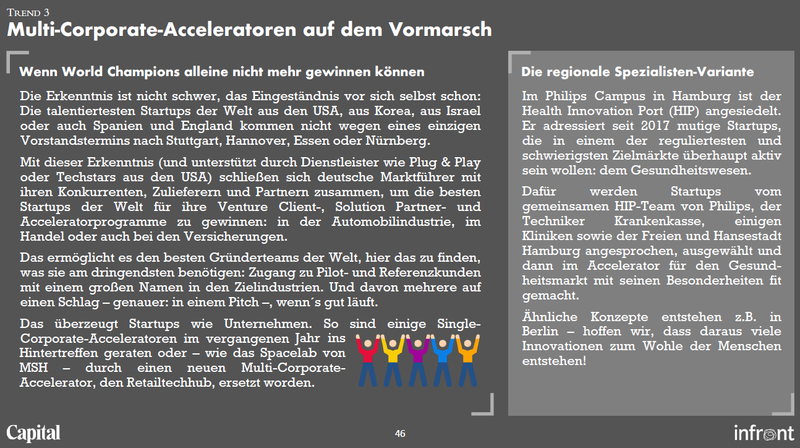 With this insight (and supported by service providers like Plug & Play or Techstars from the US), German market leaders are joining forces with their competitors, suppliers and partners to attract the world’s best startups for their venture client, solution partner and accelerator programs: in the automotive industry, in trade or even in insurance. This allows the best founding teams in the world to find what they need most: access to pilot and reference customers with a big name in the target industries. And several of them in one fell swoop – more precisely: in a pitch – when things are going well. This convinces startups and companies alike. For example, some single-corporate accelerators have fallen behind in the past, or – like the Spacelab from MSH – have been replaced by a new multi-corporate accelerator, the Retailtechhub. The Digital Innovation Units are growing up, even though the business traction is still limited. The top players hold their positions well, but the top moves closer together again. 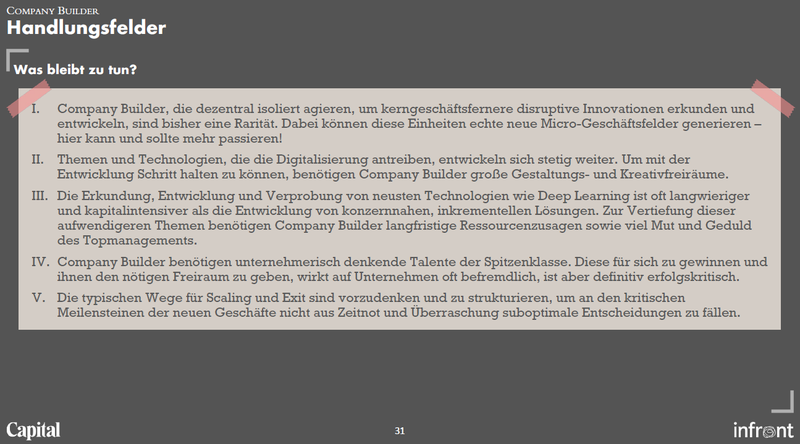 The leading corporations globalize and orchestrate their innovation ecosystems much more strongly. They maintain the high degrees of freedom of the Digital Innovation Units, but define more differentiated business assignments and new models of cooperation internally and externally. The methods for ideation and prototyping are very similar everywhere, the human factor determines the output. We see the greatest progress in integrating digital innovation units and corporations in the context of incremental innovation. The biggest gaps are the lack of scaling of, above all, potentially radical and disruptive innovations and the impact on the intended digital transformation of the core business.